Well, nothing beats the sight of your kid wheeling in a kids scooty with a joyous face. Something to truly cherish for. Kids Scooty comes with its own set of advantages foresee better eye and hand co-ordination and more. There are many companies offering kid scooty in the Indian market at present. We thought of rounding off these offerings into a list of the best picks in our blog. And we have done rightly so with our list of ‘Top 10 Best Kids Skate Scooters brands in India with Price’. Read along as we pick the bests ones from the market. Let’s start the list with the one from Zest named as Zest 4 Toyz Kids Scooter. 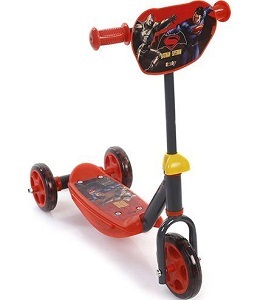 It has a lovable design with lighting wheels, perfect for kids. 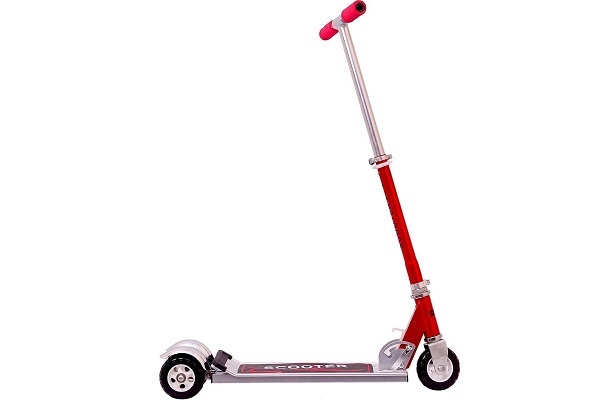 The scooty features 3-durale wheels and has alightweight frame for easier movement. It supports easy to carry as it can be folded into a compact storage build. 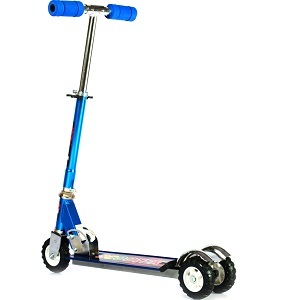 The kids scooty is priced around at an affordable range and is quite handy for those seeking to enjoy the thrill of a kids scooty. 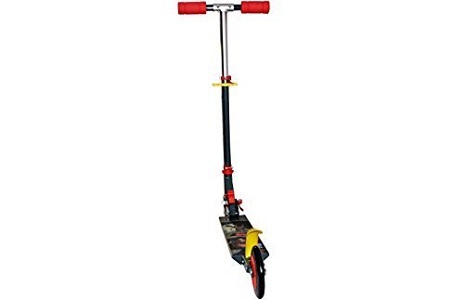 One of the top sellers of the bunch, Smoby Mighty Battle Scooters is lined up next in our list. 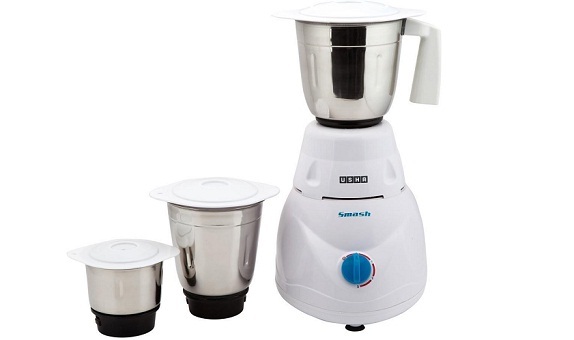 This one features 2-wheels and is available in multi-color as per the need of the customer. 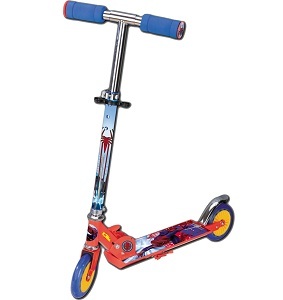 It has smooth gliding wheels sporting ABEC bearings for stronger and sturdy design. The piece is pretty lightweight and supports easier maneuvering. It further features a rear fender brake along with comfortable grip on the handlebar for support. The skate scooty also has awide footboard. It’s one of the stylish and trendy pieces of the available lot in the market. 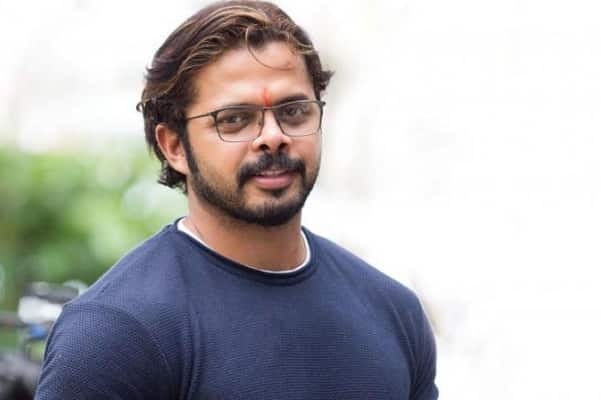 Next up is the one from Swarish. It features a 3-wheeler design and has a height adjustable option. It also sports brake for safety measures. The skate scooty comes with LED lights engrossed in the wheels and looks quite catchy of the eye. 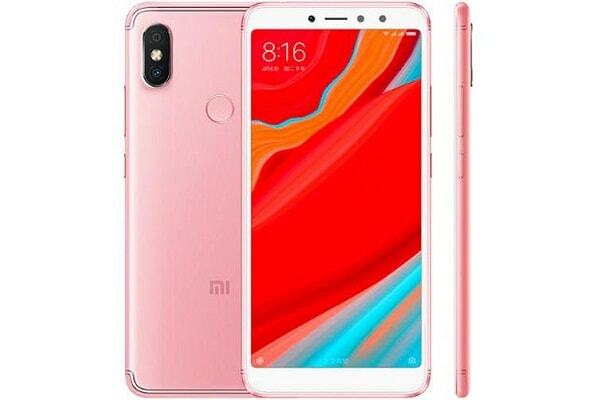 It is available in multiple color variant. It remains a perfect gift for kids. Another one from Smoby’s production line, Smoby Batman Vs Superman is a themed kids scooty. Definitely, one that the kid would love to rave about. It’s quite a stylish and trendy piece of the available lot in the market. It has a wide footboard for better support and features metal frame construction. The piece is non-toxic and is suitable for kids 3 years and above. It is further certified with EN-71, i.e. European Safety Standard for Toys. As the name suggests, you could reckon that this one is a 4-wheeler scooty. It has a double board design for better handling and support. Adhering to 4-wheels this one will serve as better in safety as considered to 2-wheels or 3-wheels design. 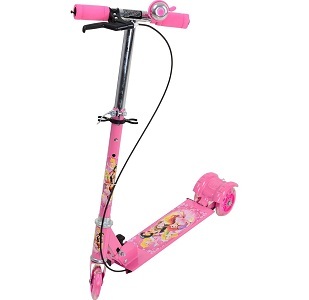 The kids scooty has a foldable design with adjustable handle bars. It comes with superior metal frame build that is lightweight and sturdy at the same time. 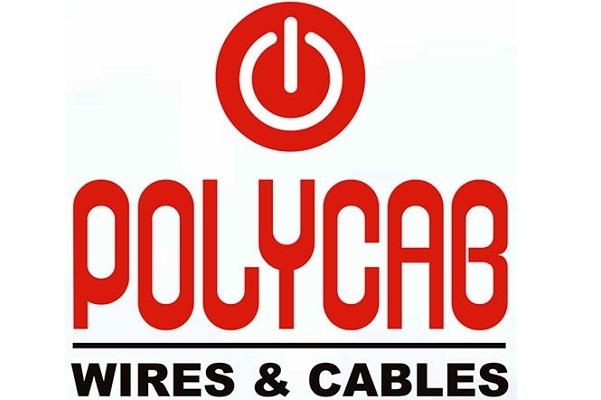 It is available in different color combinations so as to satisfy the need of the customers. This one if from Excel Innovators and has a stylish and trendy design. It is a themed kids scooty after Spiderman look. It features 2-wheeler design and has a foldable structure. The scooty is pretty lightweight so as to support easy maneuvering. It is non-toxic and is certified with theEN-71 standard. There you go, that’s the one you should definitely go after. A sturdily built 3-wheeler kids scooty, this one is the one to buy for. It has metallic built for durability yet sports light weight for swifter movement. 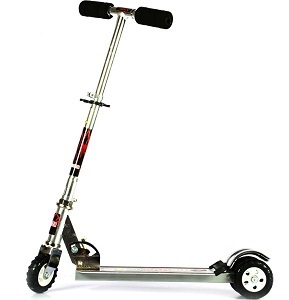 The scooty has adjustable height, plus point for the price range. 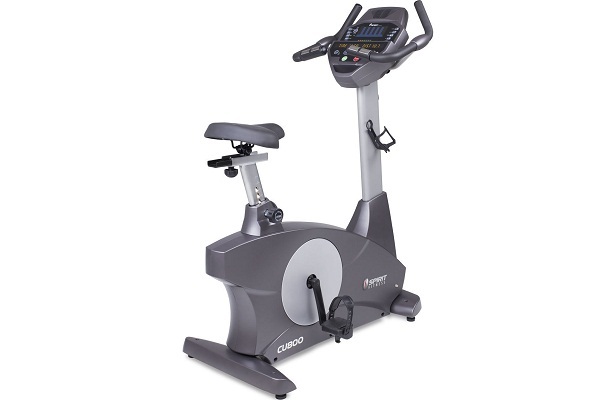 It features comfortable handlebars for holding and is available in different color variations. A worthwhile investment to be precise. As the name foregoes, this one comes with Ultradurable design and sturdy build. It has broad wheels for better support for the rider. The piece comes with adjustable height and has comfortable handlebars. It is available in different color choices to provide as much option as one can seek. Definitely one of the top picks in the kids scooty segment. 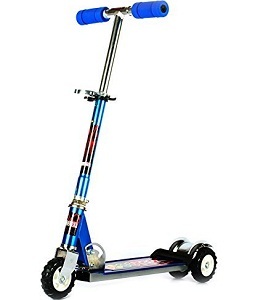 One of the top-tiered company in the market, Wonder Kart presents this heavy metallic scooter with a sturdy design. It has a solid build and supports adjustable height. 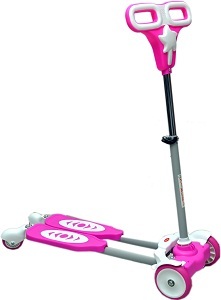 The scooty comes with comfortable foam handles and has durable wheels. It can hold the weight up to 60-70 kg. It remains one of the best picks when it comes to durability and builds quality. One of the latest offerings from Caterpillar brand, this one is a heavy metallic build 3-wheeler piece for kids. The company has been around for ages and is foreseen as a pioneer in kids scooty. It has an adjustable height and sports rear wheel brake with awide base. The scooty has a base length of 39 cm and a width of 13 cm. The height can be adjusted from a minimum of 43 cm to a maximum of 73 cm. Well, there you go, if you had been looking for the best picks among the kids scooty, you have the list to savor. 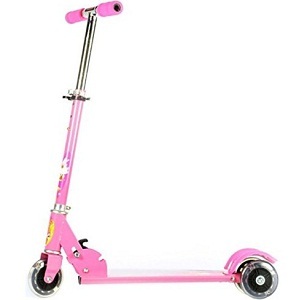 Go on, gift your child one of these and let them wheel around.